Our Washington State Wineries Group welcomes Finnriver Farm and Cidery, located twelve miles south of historic Port Townsend in Chimacum’s Center Valley. Finnriver is dedicated to sustainable agriculture, ecological land stewardship, and enhancing biodiversity. The Kislers, Eric Jorgensen and family, and their partners grow certified organic berries and heirloom apple trees, and also “glean wild apples from old-time local homesteads and source fruit from a fifth generation organic family farm in eastern Washington.” They then craft these fruits into artisan sparkling ciders, dessert wines and spirits. Stop by the farm’s Tasting Room to try the Artisan Hard Sparkling Cider (Méthode Champagnoise) and the Farmstead Sparkling Cider (Méthode Ancestrale). While there, learn about the two different methods for getting the sparkle into wine. Walk among the trees of the orchard, and maybe pick a berry or two. 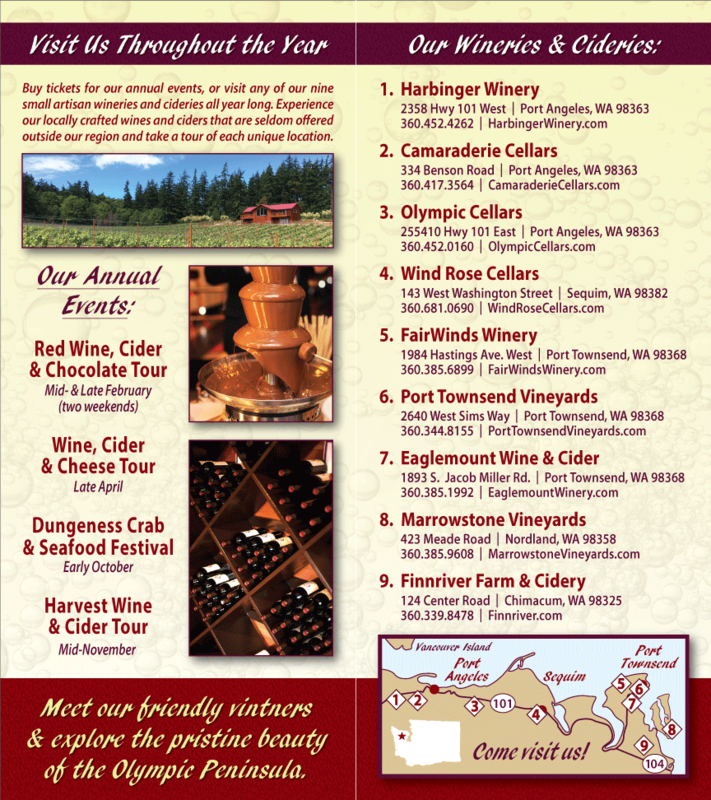 We hope you’ll visit the Olympic Peninsula sometime this summer, and that you’ll taste local Washington State wines while you’re here. Meet the folks behind the bottle. See the grapes, apples and berries grow. There is nothing better.